However, sometimes, even the most well-known and beloved brands need to revisit and reinvent their personality. Perhaps it’s simply because the times have moved on, and what was once a winning brand identity no longer speaks to its audience in the same way that it used to. In other instances, the reasoning may be more complex. Whatever the reasons are, however, rebranding is in fact a very common business move that companies have been doing for years. From a consumer’s perspective, a rebranding often appears to be just a subtle transformation – perhaps we might notice an updated logo, for instance. However, although this may appear not to be a particularly big deal, what it indicates is a company’s intent and commitment to evolution and growth. Other times, the rebranding is a much more substantial and considered effort, designed to actively shift consumer perception of a brand in no uncertain terms. Either way, the time will eventually come for all organisations when their brand identity is no longer up to scratch. The epiphany may come for a number of reasons, and below we’ve outlined 10 of them. The launch of a brand new product or service is very exciting, and will no doubt have been actioned in response to consumer demand and changes in the market. However, companies must make the effort to reflect this update in their branding. You want your new venture to be firing on all cylinders, and a strategic rebranding campaign will help draw the attention that you’re after. Nothing lasts forever, and, as time moves on and more competitors move into your market, it’s not unusual to find that your once-loyal and engaged customers have started to look elsewhere. If you start to notice a drop-off in consumer engagement, then perhaps it’s time to assess whether your branding needs an overhaul. Rebranding in these circumstances may be your one true chance to rescue your company from paling into obscurity. If a brand, for whatever reason it may be, starts to gain a bad reputation, then the impact on business operations can be crippling. Rebranding in this case is the only option to mitigate and hopefully dispel (eventually) any negative associations that are routinely being made with the brand. It’s important, however, that it’s not just exterior alterations that are made (to your logo, for instance), but that the changes are also effected through all aspects of the company. Remember, a brand is not just a name or a logo, but a representation of all the values, standards and principles that your organisation stands for. Changes in company ownership will often trigger a rebranding as a matter of course. For instance, in the case of demergers, the company that has split off will be obliged to develop its own new brand in order to make it clear and apparent that it is no longer part of the organisation. There is slightly more flexibility in the cases of mergers and acquisitions. There is opportunity here for the new company to completely rebrand, though sometimes the name of one of the companies is kept. However, even in this instance, a rebranding will normally take place even if the name of the company remains the same. Competitors are a part of each and every company the world over. The moves of a rival will trigger response within your own walls, and, as such, your competitors are directly responsible for effecting critical decisions you make every day. Whatever the strengths of your competitors, your own company will of course hold its very own USP – and that needs to be communicated through your branding. However, some of your rivals may have a very similar brand message to your own, in which case you need to make efforts to differentiate through rebranding. You need to be unique to avoid client confusion, for if people have bad experiences elsewhere, you don’t want to absorb any negative press through perceived, albeit false, association. Expanding into the international market can often mean that you need to rebrand. In some countries, for instance, a brand name may have unfortunate or negative associations. Values, of course, are not necessarily international either, and although the image you portray may curry domestic favour, research needs to be conducted to ensure that this is carried across into other countries where you wish to operate. A new CEO will often want to breathe new life into an organisation, and a rebranding will quickly follow the appointment. Successful leaders will have a clear direction in which they wish to take the company and will want to reflect this in its branding. If you’re not reaching your intended audience – perhaps you’re only attracting people in their senior years, when you want to be targeting a younger demographic – then it’s time to reassess your branding. Rebranding will help you engage with new audiences, and win new customers from key demographics you are looking to target. A new company might start off as one thing, but over the course of time transforms into something else, perhaps with a completely different focus and set of values. The branding needs to be updated to reflect this, otherwise there will be a jarring inconsistency in the image it portrays. In other circumstances, a company may acquire different services from different consultants along its journey, and some of these may have strayed off-brand. Again, there is a clarity issue and this needs to be addressed with rebranding. Sometimes, brands that offer multiple products or services may find that they become known for one above all the others. This may or may not be desirable, but, either way, a rebranding will be needed. If you think that your business can survive off just a single line, then rebrand accordingly. If you want to try and reemphasise your other products or services, then a rebranding that shifts focus onto these will be necessary. 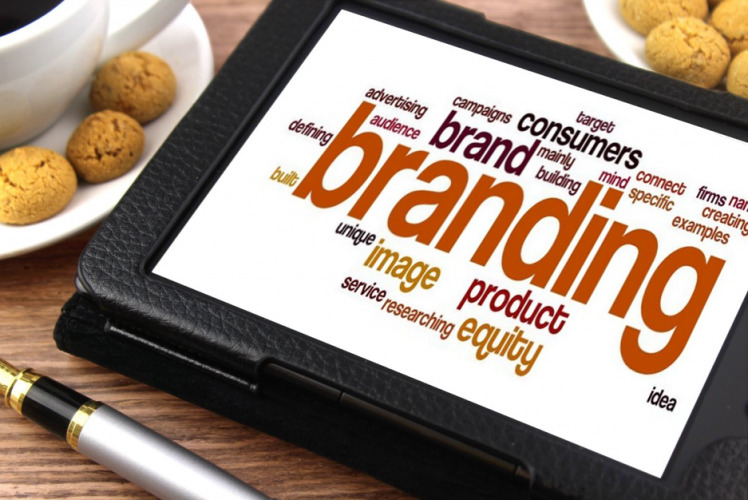 Is it time for your company to rebrand? There are many reasons why you may believe it is, and each require a different strategy to ensure emphasis is placed in the correct places. Here at Cope Sales and Marketing we have the experience and the solutions to help you conceive, document and then market your rebranding campaign. Take a look through our website – www.cope-salesandmarketing.com – to view our services. If you’re thinking of rebranding, then our Branding Page will be of greatest use. And please use our Contact Page to reach out. Look forward to hearing from you.